Guy sets the vision and drive behind Hodei Technology. He is a visionary in the field of behavior change methodologies through disruptive innovative approaches. Guy is a veteran of the healthcare system with over 27 years of hospital, pharmaceutical, and healthcare management experience. With an expertise in marketing and training, he has been a successful serial entrepreneur over the last 12 years launching - two successful medical and scientific communications companies and a non-profit standards organization. 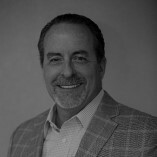 Mike has broad experience in corporate finance having served as CFO or financial advisor for nine high-growth health care and health care information technology (HCIT) companies. 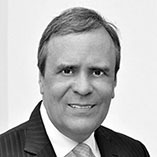 He is well-known by institutional investors, VCs, strategic acquirers and private equity across the country. Over the last thirty years, Mike’s experience ranged from pharma, clinical trials, CROs, care management, medical devices, electronic ordering; and of course, tele-presence. Mark is the technical brains and brawn behind the quality and genius of the products we bring to market. He is a phenom in the technical and internet world with over 20 years of experience - successfully leading teams that have produced everything from immersive interactive applications to large scale consumer mobile applications and websites. In addition to his extensive experience working with healthcare and pharma companies, Mark also has experience building and supporting enterprise software used globally for Fortune 1000 companies. Kim is the catalyst within the organization making great things happen efficiently and effectively. She has amassed an array of healthcare experience on the client and agency sides of the business in medical devices and pharmaceuticals, both globally and domestically across a Fortune 500 company and start-up entrepreneurial adventures. Her passion is finding solutions to challenges and building high-performing teams. 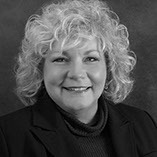 Her 20+ year career includes strategic consulting, business development, account management, operations, marketing, organizational excellence, and project management with her results oriented approach expanding the value promise across any phase of the business operations. 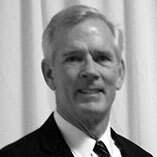 Dan has 39 years of sales, account and leadership experience. He assists with and helps oversee Hodei Technology’s sales force activities - setting sales goals, monitoring sales attainment and developing the sales team. 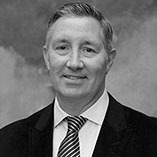 Mr. Murnane also provides assistance negotiating client contracts. 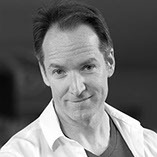 Brian has experience spanning 30 years in veterinary medicine. Owner of veterinary hospitals, working within Pharma development and regenerative medicine businesses. Founder of Oncura Partners and developed it’s telemedicine program. Speaker and educator within the veterinary field on Ultrasound, Oncology, Laser surgery among other subjects. He believes Telepresence, and the first person Point of View (POV) will be transformational for veterinary medicine on a global scale.